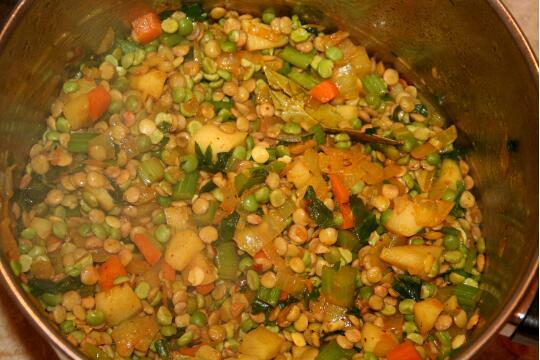 Soak the split peas and the green lentils in cold water for a few hours. 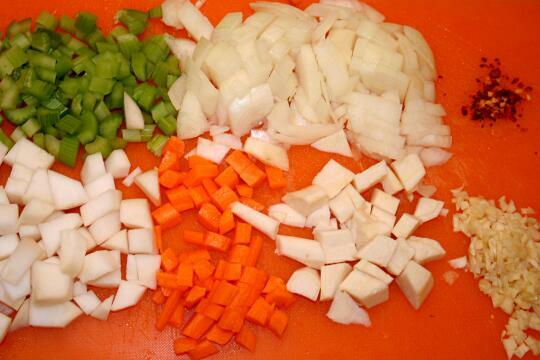 Chop the vegetables and heat some oil in a large cooking pot. When the oil is hot, fry the onions, until golden, add garlic and chili. When the garlic is golden, add the parsley root, carrot, celery stalks and leaves, turnip and a little more oil if needed. Fry for a few minutes. Meanwhile boil some water. Drain the peas and the lentils, cumin. turmeric and bay leaves. 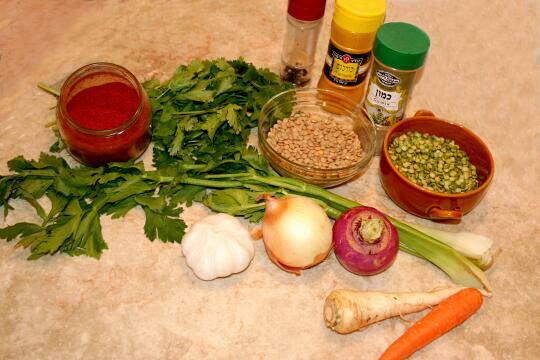 Mix everything well and add about a liter of boiling water. Bring it to boil and than cover and lower the heat. 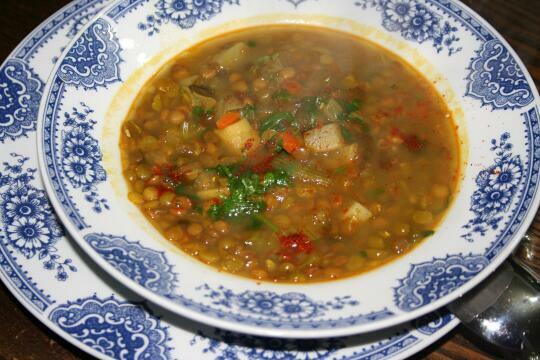 cook until the vegetables are tender and the lentils are soft. Add the salt only in the end. Serve hot and garnish with fresh chopped parsley leaves.